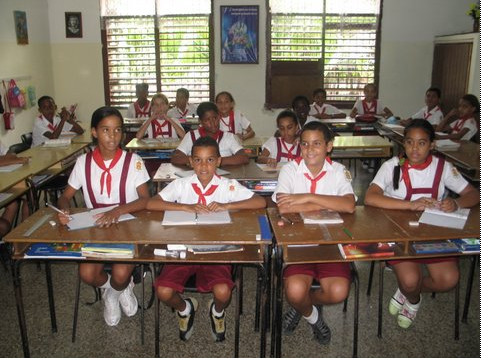 HAVANA, Cuba, Feb 19 (acn) Ecuador’s Coordinating Minister of Knowledge and Human Talent, Guillaume Long, praised the Cuban education system and said that it is not copying it what Ecuador tries to do, but learning from its advantages. During a recent visit to Havana, Minister Long told ACN that Ecuador has both public and private education centers and with teacher training entities, though the government is now trying to turn education free of charge and unified under a single national vision, similar to Cuba. “We are building four universities in the fields of Pedagogy, Arts and Natural and Exact Sciences, and we also wish the one we already have in Amazonia to improve its use of the biodiversity around it.” This statement backs the minister’s interest in his recent meeting with his Cuban counterparts of Education, Science and Culture. Minister Long stressed the attention that Cuba gives to the pre-school education and elementary school, particularly the children with potential in the areas of sports, music, dance or visual arts. He said that the early tapping of talents is a weakness of the Ecuadorian education system, although they are now focusing on higher education to prepare the professionals that will train the youth in lower levels of the teaching process. This entry was posted in Cultural, Uncategorized. Bookmark the permalink.